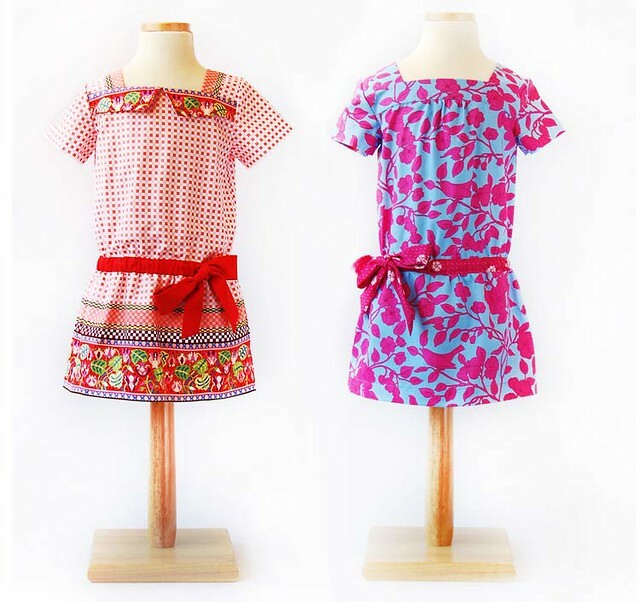 Did you know the Flip This Pattern series with Frances Suzanne is still going strong for a short summer 2014 line up? It’s is full swing! They’ve kept what we’ve all loved about the series then added some new things. One of which is a intro post from a previous viewer’s choice winner. So, here I am to kick things off for the month of July. 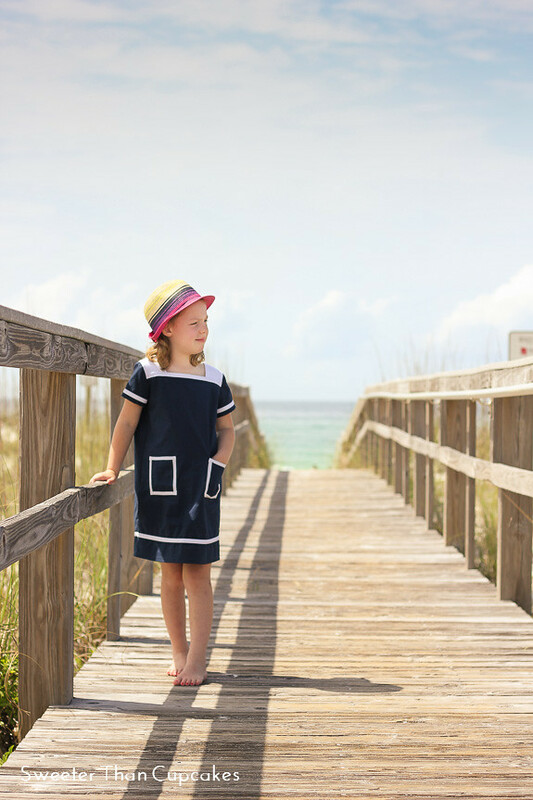 This month’s pattern to flip is the Croquet Dress by Oliver + S. The pattern already features great details such as a square neckline and dropped waist. View A provides a great collar detail, while view B has a gathered front yoke. 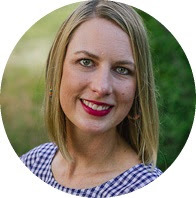 My favorite approach to pattern flipping is scouring the internet, usually Pinterest, for inspiration from other designers. I collected a few ideas for you as well. As you can see, these dresses all included the square neckline which is one of my favorite features of the Croquet Dress. But don’t let this limit you by any means!! You can find the sources for each dress below the collage. I certainly couldn’t leave you without a sewn example, so here you have my flipped version of the Croquet Dress inspired by the navy Oscar de la Renta dress featured above. The changes to the dress pattern were actually very minimal. I omitted the bottom skirt and extended the a-line of the top to the length I needed. I added pockets to the front that are trimmed in bias tape. Then, I added bias tape accents at the sleeve and bottom hems. For the neckline, I used white fabric on the shoulder pattern pieces. Then, I used the front facing piece on the interior and exterior of the dress to mimic the white neckline of the Oscar dress. 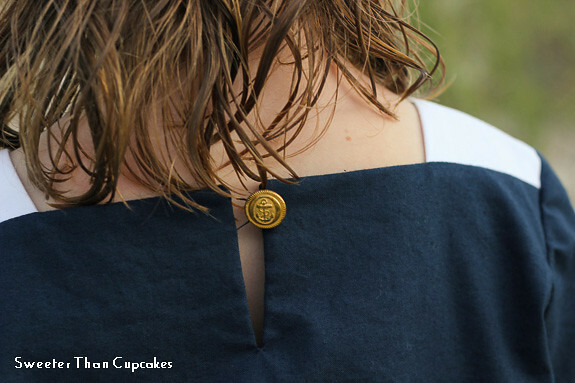 I continued the nautical look with a vintage anchor button at the back. This was the first time I used a thread chain for a button loop. It certainly isn’t my favorite feature of this pattern, but I think I probably should have just used a thicker/stronger thread. 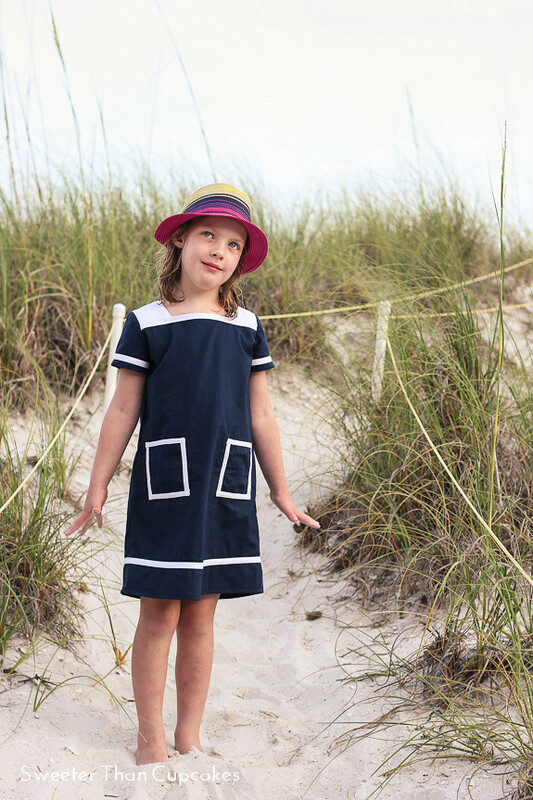 Be sure to head over to Frances Suzanne and get in on the fun with the Oliver + S Croquet dress this month! 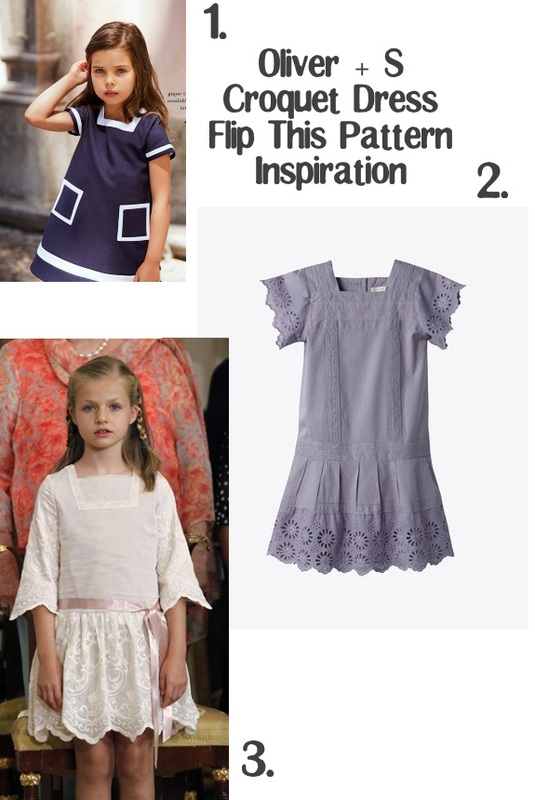 Courtney, I love what you did with the pattern.The dress is fresh and fun! That dress is beautiful! I don't have kids (let alone daughters), but I'm tempted to try it for my friend's daughter or my niece. 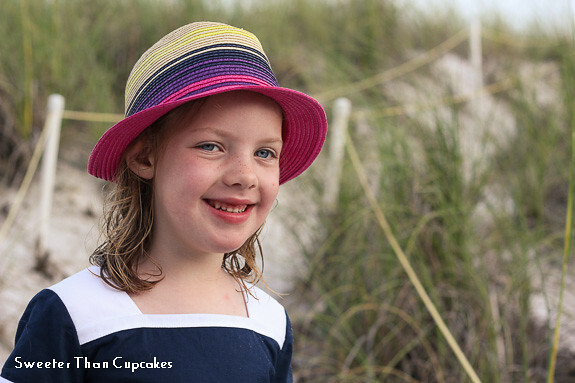 Very cute and stylish.....and those minor "flips" really changed the whole appearance of the pattern. Great work, as always!! Thank you!! I had it pinned forever, and when the croquet pattern flip came along, I knew it would be the perfect match. That is beautiful! Love the color combination and the changes you made. Love that dress!! Can I have your photo location too??? Gorgeous pictures!